NRF’s Big Show is officially over and we are back in Austin! After several cups of coffee consumed as well as analyst and media meetings coordinated for 13 clients, I think it’s safe to say this year’s show was one for the books. Check out what the Ketner Group team was up to while in the Big Apple. 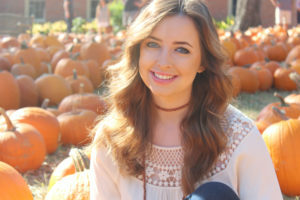 My name is Sara Shaw and I am a senior Public Relations major in the Stan Richards School of Advertising and Public Relations at The University of Texas at Austin. I am also pursuing a minor in Spanish as well as a certificate in the Business Foundations Program. I grew up in Austin and, naturally, love it so much I decided to stay for school, which is easily the best decision I’ve ever made. I am the youngest of three children, so I have had my fair share of older-sibling-bullying. Too many times did I fall for, “I’ve got a surprise,” and end up with a bar of soap in my mouth. Talk about a surprise. As an “adult” this has made me a great team player and very capable of laughing at myself. I became interested in public relations in high school because of my love for stories. More specifically, the stories of people around me. What people were passionate about, what motivated them, why they loved what they did. I was good at creating relationships with people and getting them to tell their stories. I loved that PR combined the art of story-telling and business strategy. So with the click of the mouse I declared my major and haven’t looked back since. This past summer, I had the incredible opportunity of interning for Southwest Airlines in Dallas. I was the communications intern for their Network Operations Control Department. Imagine a command center at NASA, but these guys are dispatching nearly 4,000 flights a day. I was lucky enough to be on their communications team and learn more about the airline industry than I ever imagined. When I’m not in the office or in the classroom, I love to explore my hometown and discover the next great taco place. I recently went to El Chilito on Manor Road, and highly recommend the Cherrywood breakfast taco. As a senior in college, I often get the question, “What are you doing once you graduate?” I’ll tell you now that I have no idea. However, I am very excited to be with Ketner Group this semester and get hands-on experience in a more “traditional” PR setting. Everyone here has already taken Daniela and me in as part of the team and we are eager to keep learning from everyone! As a college student I often find myself slaving for hours and hours in a textbook and trying to shove as much information as I can into my brain in order to do well on an exam. This is simply how college is structured; you’re given information, you’re expected to learn it, you’re tested over the materials and by the end of the semester you are dubbed proficient in that area of study. If a class isn’t focused around exams, the process will be the same except your proficiency in the subject matter will be based off of a project or a series of assignments. Don’t get me wrong, I have learned more than I can imagine during my time in college. But how much can someone learn in the confines of a textbook, case study or hypothetical situation given by a professor? Not enough. As a public relations major I’ve spent a lot of time learning how to understand a target market, write in AP style, research media and create campaigns for clients. My class work is graded by a professor or a teacher’s assistant and not assessed by a real client. I’m given a grade and that grade doesn’t hold much meaning besides it affecting my GPA. Because I write a press release and it receives a 93, does that mean if it was distributed to a media list it would be covered by a variety of journalists? Probably not. Many times the best way to learn is simply by doing. The classroom provides the basic skills needed to have a career, but an internship provides the experience to have a successful one. My internship has given me the opportunity to fine-tune my writing skills in a way I know my writing classes simply cannot. It’s given me the opportunity to create REAL content for REAL clients, which is something only an internship can provide. It’s allowed me to work in a fast-paced environment and helped me understand what to expect in the future. With school, you learn a lot of general, yet important, things about your major, but internships give you the chance to figure out where you actually want to take your career. Internship experience is truly irreplaceable. Without an internship, I would feel like I was being thrown out into the world after graduation. On some level, that is still how I feel, but I’m much more confident that I’ll have a grasp of what I want to do and where I want to begin when the time comes. With the retail industry changing on a day-to-day basis, there’s always something that’s trending in the news. From the havoc that Lilly Pulitzer created with their launch at Target, to the possibility of having robot technology take over the retail world, this week was filled with some fascinating trends. Lilly Pulitzer, known for bold colors and prints, announced earlier this year that it would partner with Target to release a new, more affordable line of bags, shoes, dresses and much more. This news created some major hype amongst people all over the country, and according to CNN, lines started forming early as 5 a.m. on Sunday, April 19 for the highly anticipated collection. Within hours, it was sold out online and in stores across the country. And people were irate. Target announced that the inventory would not be restocked because the collection was only available for a limited time. Once people realized that #LillyforTarget was essentially a thing of the past, people were furious. And today, Target is facing the backlash, but are “learning from these experiences and sharing with our online and store teams,” according to a statement. Sam’s Club announced on April 22 that they would implement five new services, including those that are focused on financial services, theft protection and the possibility of saving members as much as $2,300 annually. These new services will allow Sam’s Club to differentiate themselves from Costco and other competitors, as well as simplify how their consumers work, live and conduct their businesses. Sam’s Club, who has been dedicated to low prices on bulk goods and quality products for many years, embarked on this change in response to their CEO’s push in increasing the value of membership and multiplying services involved with business, home and life. With these new services, Sam’s hopes to attract new members, maintain their existing ones and promote their $100 Plus level membership. Identity theft protection from industry leader Lifelock at a 25% discount on annual rate. Accounting services and tax preparation from 1-800Accountant, a network of accounting experts that provide bookkeeping and tax filing through a simple platform, starting at $29 a month. A Sam’s Club Business Lending Center that gives access to as much as $350,000 of capital by connecting business members to lenders and credit options through Lending Club, Smart Biz and Sam’s Club Business MasterCard. Enhanced payment processing solutions provided by First Data. This will bring in-club business consultants and centralized payments and point of sale technology to business members to help simplify operations. Online marketing services provided by Web.com with a 36% discount. 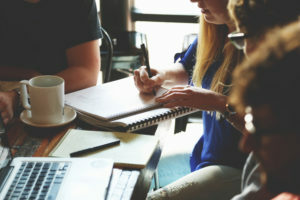 Web.com has created member-exclusive digital marketing bundles, including do-it-yourself (DIY) and do-it-for-me (DIFM) plans for digital marketing services. Tech innovator, Toshiba, has introduced a humanoid robot to the retail world in Japan. They have introduced this “lifelike” communication technology to attract people into stores, where androids have been greeting and assisting consumers around the store and aiding human employees. Currently, the robot is being used as an attraction or as a form of entertainment, but Toshiba’s Business Development Division Group Manager, Hitoshi Tokuda, thinks that this robot can revolutionize the shopping experience. Toshiba is hoping to develop a robot that can eventually do what a human does in regards to customer service. The robot is powered by 43 motors and blinks and talks. Apparently, the robot named Pepper can understand about 80% of conversations and is set to launch across 1,000 stores in Japan. This new development has set the bar high for customer experience for retailers wanting to expand in Japan. These androids could be a solid investment that has the power to change communication and employ more staff, but businesses could also lose their brand’s personality without face-to-face human interaction. These new robots are setting an intriguing stage for the future of retail. As the times change, so do the needs of consumers and POS platforms. Older platforms, traditionally used for scanning merchandise and completing basic transactions, are reducing consumer engagement. In fact, most POS platforms are about 6.9 years old; the need for upgraded technology is now becoming essential for empowered consumers that are expecting much more than a register. Consumers are now demanding POS as the “omnichannel point-of-service” where retailers engage consumers and build loyalty. The retail industry needs to address these outdated systems or face potential compliance penalties, security risks and even a hindered ability to reach growing business needs. According to EKN Research, the need for more up-to-date systems is attributed to four key factors including the EuroPay, MasterCard, VISA (EMV)-liability shift, the growing need for mobility, omnichannel POS integration and the introduction of new payment methods. Amazon is now thinking about delving into the B2B world with retailers like Staples to launch Amazon Business marketplace that is stocked with millions of business products. Amazon says that their business customers will benefit from free two-day shipping on eligible items, multi-user business accounts, approval workflow, payment solutions, tax exemptions, customer support and so much more. Amazon Business will give businesses the convenience of shopping online in an expanded marketplace with the selection, convenience and variety of Amazon. Business Accounts: Create a single or multi-user business account, invite additional users to join the account and define groups of users to easily share payment methods and shipping addresses. Free Two-Day Shipping: Fast, free shipping on orders of $49 or more on tens of millions of eligible items, plus access to even faster shipping options. Multi-Seller Marketplace: View multiple offers on a single product page for easy price comparisons, as well as shop sellers that consistently meet the performance and service requirements that businesses expect. Business-Only Pricing: Business-only prices on select items and quantity discounts from select manufacturers and sellers. Business-Only Selection: Business-only items combined with Amazon’s vast selection provides access to hundreds of millions of products, including hard-to-find items like traffic signs, industrial deep fryers, antibodies, 55-gallon steel drums, dent pullers and much more. Purchasing Approval: Create approval workflows to enable better spending controls. Amazon Tax Exemption Program: Make tax-exempt purchases and manage tax exemption permissions across an organization. Amazon Corporate Credit Line: Place orders and finance purchases using a Pay-in-Full Credit Line or a Revolving Credit Line. Comprehensive Product Information: Rich product pages and studio-quality photography, as well as dimensions, CAD drawings and manufacturer how-to videos. What other retail stories in the news caught your eye this week? We’d love to hear what you think about the Target/Lily Pulitzer ordeal, and if you’ll be using Amazon Business for your company! “They” say millennials are changing retail. Being one, I can say I agree with this statement. We’ve all seen the articles and research reports that talk to the impact that the millennial generation has had on the retail industry, but for me it’s a reality that I live and breathe everyday. This past weekend I treated my sister to a shopping spree, as part of her Christmas gift. (I know, a little late, but better late than never!) It’s been widely reported that millennials are extremely brand loyal, and I, unknowingly practiced that this weekend. My sister and I went to Barton Creek Square Mall in Austin, Texas, and we only visited stores that we have had previous positive experiences with, including White House Black Market, Gap and Nordstrom. We didn’t even take the time of day to pop into the other stores. I would rather spend a little more on an item knowing I’ll have a more enjoyable shopping experience in that store, rather than spending time at their lower cost counterpart. An article last spring in Bloomberg broke down how millennials are spending – stating they are more frugal and careful about what they buy. Through my personal experiences I find this true, not just for me, but for my friends. Leading into the shopping spree last weekend, I told my sister what our budget was, of course factoring a $50 buffer because I know our shopping habits. I planned for the months leading up to not have a weekend of triple digit spending make me have a financially-fueled emotional break down. I researched the stores I thought we should check out and sent my sister links to outfits and stores that were reasonably priced. Retail is shifting and millennials are spearheading this movement. It’s scary but empowering to know my generation is playing a huge part in changing the retail scene. Knowing that we have this power, how will the next generation – know as Generation Z or Boomlets – change it even more?